A new high quality HDMI to Micro D Cable compatible for many cell phones. 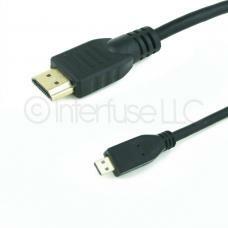 The cable uses HDMI 1.4 standards with 1080P resolutions. Please make sure your device supports Micro HDMI. Cable ships the same or next business day! Ships the same or next business day!